(5/5 stars) I have mixed feelings about this book. I didn’t LOVE it, but I kind of loved it. Donovan is an alien world on the backside of nowhere and owned by The Corporation which intended to mine its plentiful mineral deposits. Unfortunately, Donovan is the Australia of space and everything on the planet wants to kill people. So, in the years since the last supply drop, the population of Donovan has made do with what they have and many of them have grown to despise life under The Corporation’s thumb. So, when a new corporate supervisor comes to the planet, things get… awkward. Donovan is a dangerous and truly alien world. The universe the characters occupy is interesting and detailed. And I really love some of the characters. 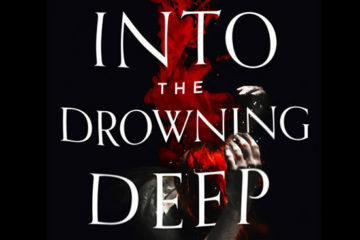 Parts of the novel seem a bit dry and cliche, but I still couldn’t get enough of it and I am kind of annoyed that the second and third books are not available right this minute for me to buy it. So, yeah. 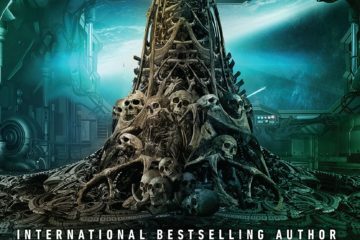 A solid sci-fi adventure. Five stars. Summary: (5/5 stars) I think I heard about this book via an interview with the author, John Carryrou, on a podcast. He’s the journalist who scooped this story for The Wall Street Journal. I decided to pick it up for two reasons. First of all, I’m fascinated by stories of such audacious frauds and that’s what Theranos is. 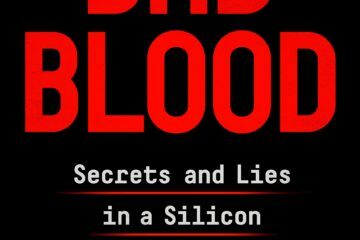 Second, I wasn’t an investor, but as an observer, I was totally taken in by Elizabeth Holmes’ story and what Theranos claimed it was able to do and I wanted to understand it better. The real story was worse than I thought! 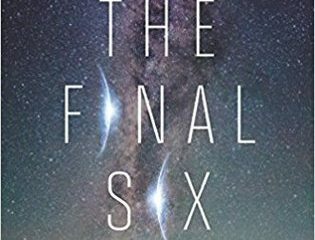 (3/5 stars) The Final Six is probably a better book than my star rating indicates. I just didn’t love it because it felt like a lot of build-up with little pay-off. But I think that’s because I’m far less interested in the interpersonal relationships of young people than I am in space travel and the associated mysteries. It’s a YA book, mind you. So, it feels a little wrong to evaluate it by standards that aren’t quite right for YA, but whatevs. The basic premise of the book is that earth has been devastated by climate change and is becoming uninhabitable. So, the various countries and space agencies around the world have teamed up to send a team of teenagers to Europa where they will begin terraforming the moon for human habitation. The reason they pick teenagers is because they’re old enough to learn complicated things, but young enough to remain adaptable to all the things that the mission requires. But there’s more to the mission that the teens are being told. DUN DUN DUUUUUUUUUUNNNNN! An interesting, if far-fetched premise, with characters that I liked pretty well. The conflicts don’t build up high enough for my tastes and don’t pay off in the way I wanted. But it’s good enough that I will probably pick up the next book at some point in hopes of getting more of that space travel goodness. Book Reviews: Sorry! Sorry! Sorry! I have been exceptionally negligent about my blog posts for several weeks now and I’m sorry! I just had more fun, interesting, and compelling things to do with my time. OK. Maybe I’m not that sorry. But I’m sorry you missed me, so I got up this morning and decided that I needed to get caught up on my book reviews.